But at least is served to remind me that London Historians has been going for four years. Already. So I’ve spent a little (a lot) time going through photos of our events over this period. I’m struck by actually how many there have been: about a hundred, I reckon. But also, it’s reminded me that in London Historians we do actually have a jolly good time. Most of all, though, I’m humbled by the number of wonderful people who have “got” the London Historians thing, and backed us by becoming Members. That is what this is all about. Rather than create another album on Flickr of grand palaces, livery companies, historic bridges and so on, I’ve made one that focuses on our Members. Each image has a caption about the event featured. Although we started in August 2010, these begin early in 2011 because it took us some months to get a little Membership going. We’re now over 500, if you’re asking. The full album on Flickr is here. By way of introduction, I’ve chosen one for each year to put here, but do go and see the full set which I think goes some way to answering the question: What are London Historians like? And if you fancy joining our gang, that’d be terrific. You can do so here. 16 March 2011. 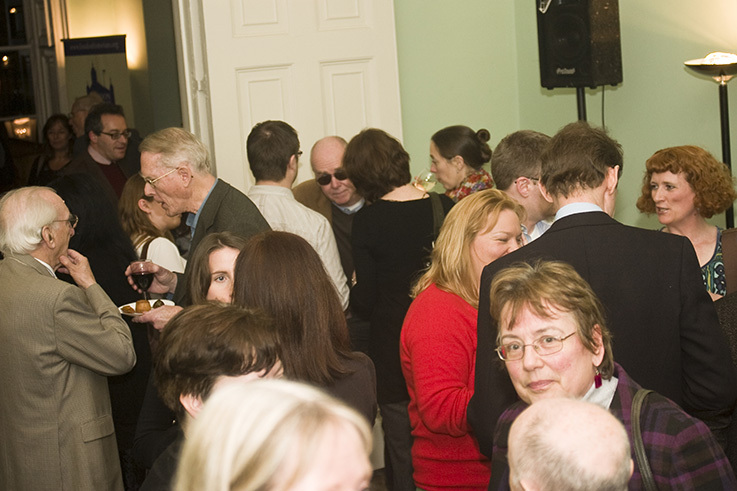 Scene from our official launch party at Georgian Group HQ, Fitzroy Square. 10 March 2012. 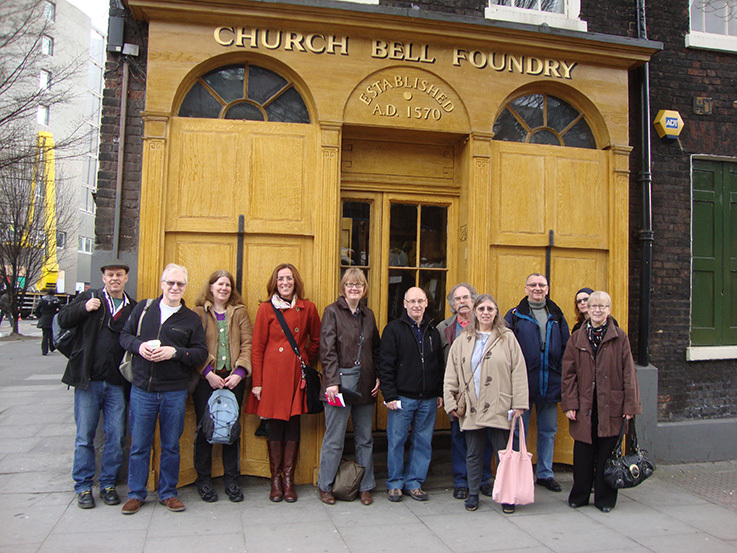 Tour of the Whitechapel Bell Foundry, Britain’s oldest business. 16 April 2013 . 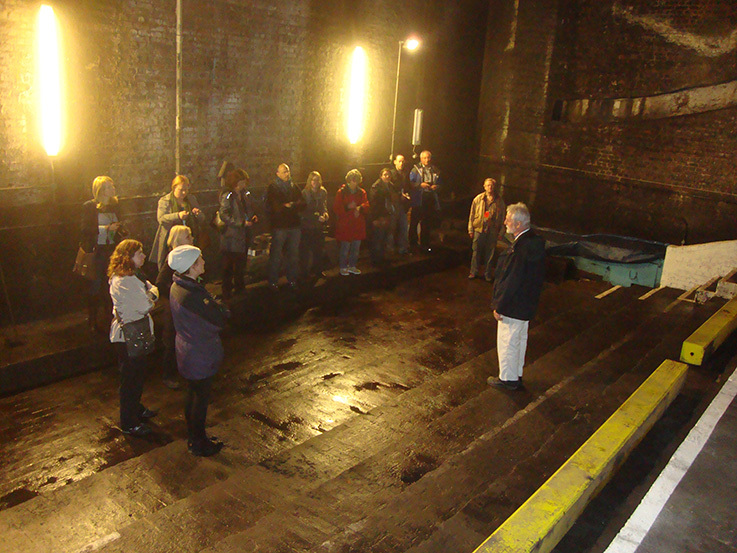 In a bascule chamber beneath Tower Bridge. 12 June 2014. 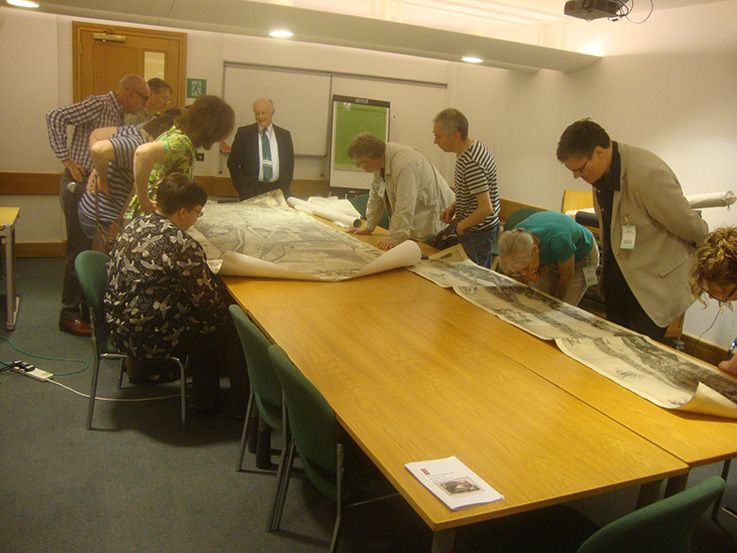 Checking out the King’s Topographical Collection (K-TOP) at the British Librar with Head of Maps, Peter Barber. I commend all your work and the enthusiasm of your members, and if I still lived in London instead of British Columbia this would be a group which I would certain love to join. … but they miss out on the visits, talks and the beer, don’t they? Seriously I may think of joining even so. I hope to spend a week in the smoke next year so it would be nice to meet up.